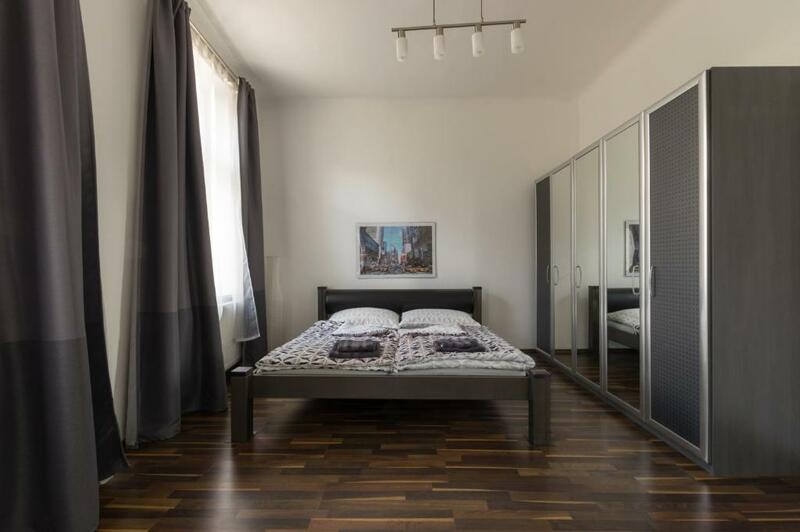 Very spacios, clean, nicely decorated, all the mentioned facilities were usable, 10-15 minutes of walking to the city centre, really close to the tram station, which you can take to reach the subway, city centre and other main points of the town. Alex was a great host, very professional and kind, he took the time to help us when we needed, without hesitation. The neighbourhood is quiet and safe, if you want to walk around the area. There is also a nice pub nearby. I strongly recommend this place.! It is a very good apartment and the host is very friendly. I was here with my fiancée and my sister. The host allowed us to come earlier, so we could leave our baggage. Also he gave us the advise where to go to magazine, what tickets is best to buy. The girls loved the big TV, the balcony. And the tram 2 is stopping right under the house. Overall, I will give it 10 out of 10. Everything, because overweight my expectations in whole. The place is amazing! Well-decorated and equipped apartment, with everything you can want for a good stay - we felt like home the entire time. 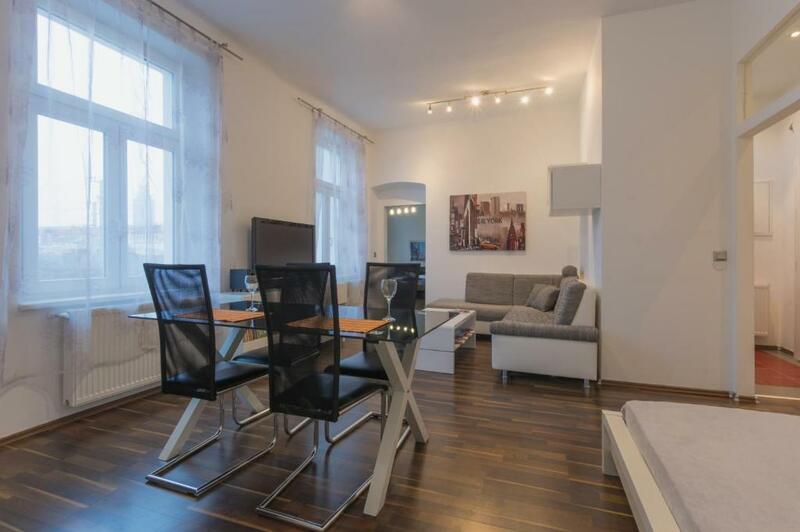 The location is just perfect, as the tram station is just around the corner, and the train station is nearby as well, so you have great connections to the city center or other parts of the city. There are shops nearby as well. The host was very supportive, helpful and friendly. She explained to us everything we need and even more she was very nice and the flat was just excellent. Even thr bathroom was excellent which is the main issue we face when we travel and use different properties. 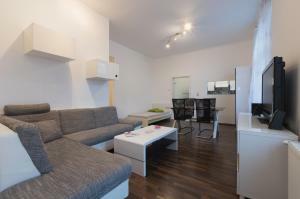 Very clean and comfortable apartments, which situated in great place near the Danube River. Good: This large modern apartment is only a 10 minute ride away from the centre of Vienna via Tram 2. There are 3 supermarkets within a 10 minute walk away and a few traditional restaurants. There’s a fridge freezer, washing machine, cooker, large screen TV with a great selection of English speaking films and the WiFi is excellent. Great location. Main attractions are 10 mins away by tram. Our host, Alex is so helpful and cheerful but also as a local he has great tips for guests. If a problem occurs, just let Alex know it. He can handle it anyway. 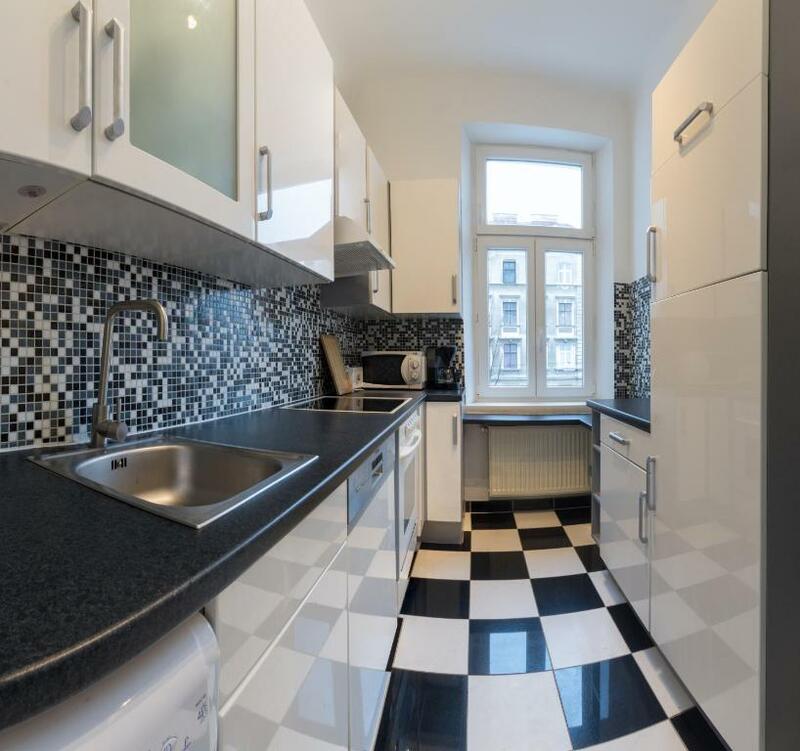 I strongly recommend the property for people who want to visit Vienna. Lock in a great price for Spacious Apartment in Center with Terrace – rated 9 by recent guests! 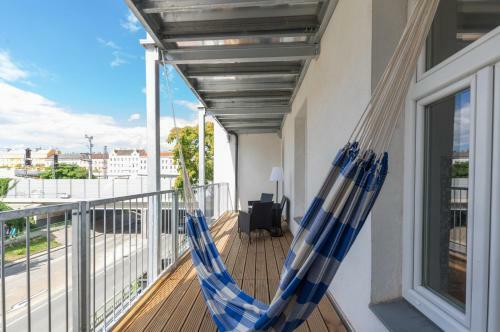 Spacious Apartment in Center with Terrace in Vienna has accommodations with free WiFi, 1.3 miles from Vienna Prater Amusement Park and 1.4 miles from Kunst Haus Wien - Museum Hundertwasser. 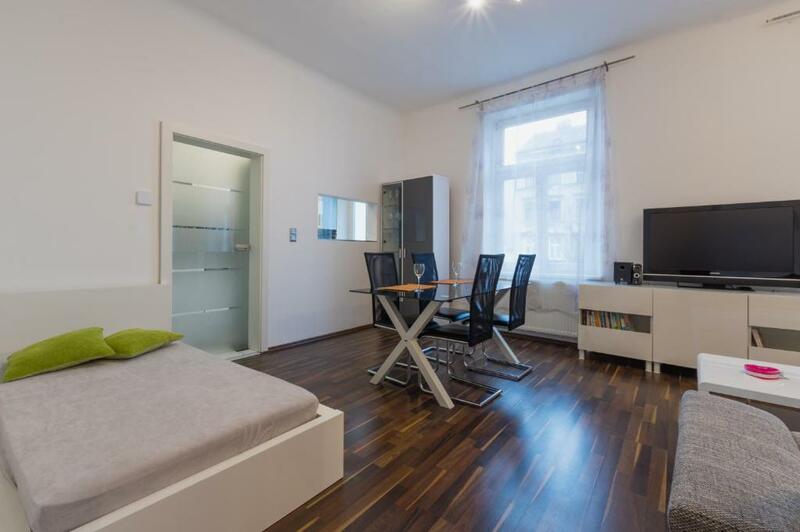 This apartment is 1.8 miles from Messe Wien Exhibition and Congress Center and 1.9 miles from Austria Center Vienna. The apartment comes with a cable flat-screen TV and 1 bedroom. The bathroom has a bath and free toiletries. St. Stephen's Cathedral is 2.1 miles from Apartment with Terrace, while St. Peter's Catholic Church is 2.1 miles from the property. Schwechat Airport is 12 miles away. When would you like to stay at Spacious Apartment in Center with Terrace? Es un piso encantador y antiguo grande (65 m²) para 2 personas, recientemente renovado, con calefacción, ventanas grandes y mucha luz (vista a la calle), está orientado al norte y oeste; para que no haga demasiado calor incluso en verano. El ruido de la calle es apenas audible cuando se duerme a través de las ventanas aisladas. Las ventanas del dormitorio se pueden oscurecer muy bien. Incluye una gran cama doble, un sofá para dormir y una cocina grande (8m²) ¡totalmente equipada. Siempre estoy con mis clientes! Zona joven de estudiantes internacional. Si el Prater, las universidades, UNO-City o el Danubio son fácil de llegar. Un supermercado está disponible 5 minutos a pie y pequenos tiendas enfrente de la casa. ¡Centro comercial 1 estación de cercanias! ¡En todo Viena estás básicamente en unos 25 minutos con el transporte público! El parking se paga! House Rules Spacious Apartment in Center with Terrace takes special requests – add in the next step! Booking.com takes your payment on behalf of the property for this reservation. During your stay, you can pay for any extras using Visa, ​Euro/Mastercard, ​Maestro and EC-Card . Check-in after 22:00 is only available for a surcharge. Check-in between 22:00 and 23:30 is subject to a surcharge of EUR 15 and check-in after 23:30 is subject to a surcharge of EUR 45. Please inform Spacious Apartment in Center with Terrace of your expected arrival time in advance. You can use the Special Requests box when booking, or contact the property directly using the contact details in your confirmation. The only thing I didn't like is the heating system. We could only turn it up for 3 hours and then it would automatically turn down. It's great for economy, but I wish it would be 6 hours or more, as at the morning it was a little cold. 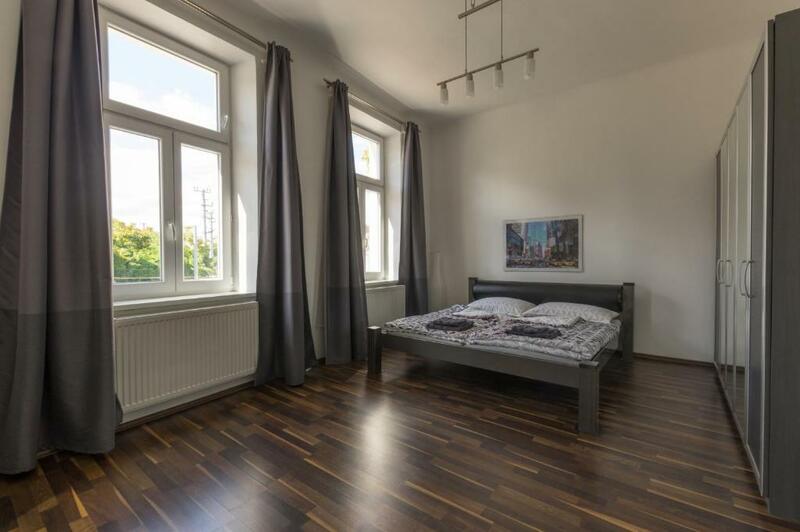 A beautiful appartment and great location. Alex was easy to reach and avery good host. I highly teccomend this place! Bad: Sadly the bathroom only has an over the bath shower with plastic screen, a shower cubicle would be a nice touch. Shower enclosure can be used instead of shower curtain. High service fee! we pay 60 euros for cleaning and administration! As we stay only two nights, net price 45 euros per night, overall price became too high... But if you plan to stay longer, value/quality ratio will be super! Nice apartment! Nice and friendly owner! Meet us personally! Very good design and comfort! Highly recommend for some prolonged stay! Wifi was working but was slow. Also, some additional plugs would improve the general confort, although if it was already very good. 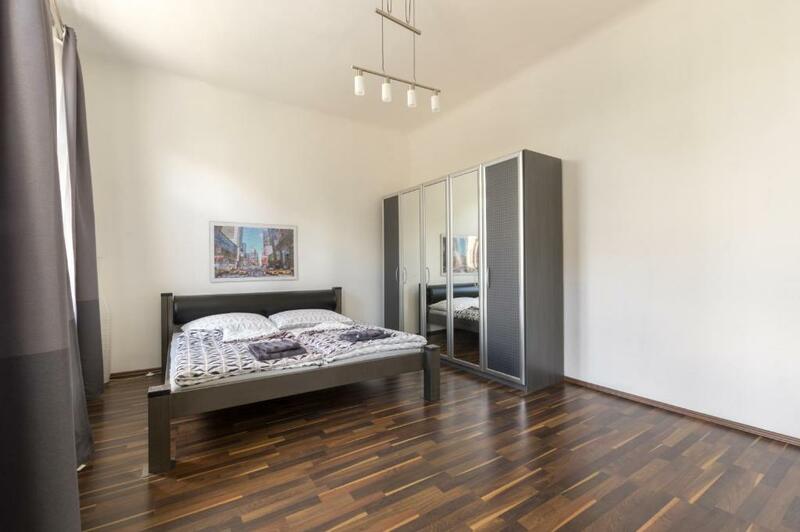 Very pleasant apartment well located close to the city center and to the Vienna International Centre. Soundproofing is really good. The apartment is very quiet and comfortable. I recommend it.